Carl Icahn is upping his investment in Caesars Entertainment. The billionaire corporate raider now controls more than 15 percent of the casino company. 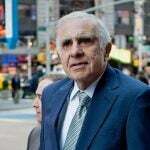 Filings disclosed this week with the Securities and Exchange Commission (SEC) reveal that Icahn now owns 105 million shares of Caesars, which accounts for 15.6 percent of the entire business. The businessman previously controlled 9.8 percent of the organization. 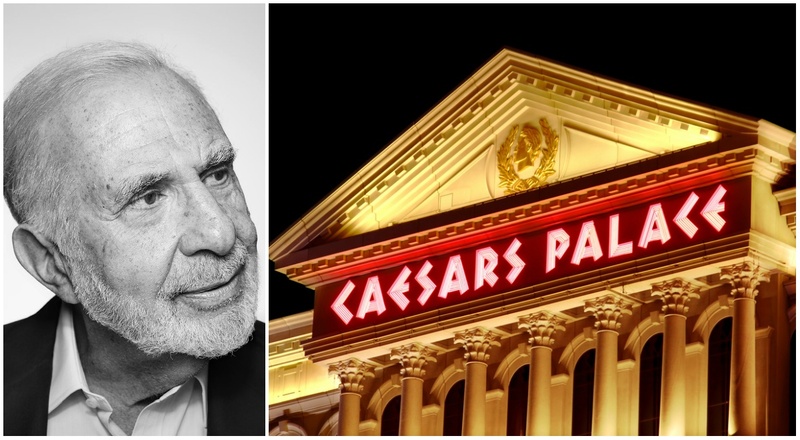 Icahn remains bullish on Caesars despite the company’s struggles since emerging from Chapter 11 bankruptcy in October of 2017. The stock lost 47 percent of its value last year, but Icahn’s interest has recouped some of those losses. Shares are up around 25 percent in 2019. Caesars Entertainment is in the process of finding its next CEO. The leadership change came as a result of Icahn pressuring the board to replace Mark Frissora as the chief executive. If Caesars does not find its next CEO in a timely manner, Icahn will be afforded a fourth seat on the company’s board of directors. 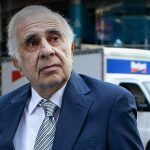 The billionaire was recently given three seats, and nominated Icahn Enterprises CEO Keith Cozza, Icahn Capital Portfolio Manager Courtney Mather, and Icahn Enterprises board member James Nelson. Icahn has recommended that Caesars strongly consider replacing Frissora with Anthony Rodio, who is currently the CEO of Affinity Gaming. Rodio was the top executive at Tropicana Entertainment when Icahn owned the casino group. Icahn, ranked No. 61 on the Forbes list of the world’s billionaires with an estimated net worth of $17.4 billion, is advocating Caesars Entertainment more strongly consider being acquired. Golden Nugget billionaire Tilman Fertitta and Eldorado Resorts have both recently expressed interest in a deal. 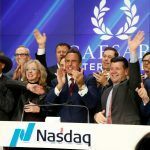 “Caesars would be a great opportunity for certain investors who have already expressed interest, and I’m glad the Board will explore these opportunities,” Icahn concluded. MGM Resorts is also reportedly interested. Nevada’s largest employer, an MGM and Caesars alignment would likely result in a review from the Federal Trade Commission to determine if the combined group would result in a gaming monopoly in Las Vegas and other markets. Financial news group Barron’s reported this week that MGM’s recent moves hint the company could be planning an acquisition. The company’s decision to sell its physical assets to its real estate investment trust, and “recent activity in the credit markets,” frees up much capital and increases its borrowing capacity, so says Barron’s senior writer Alexandra Scaggs. Have Icahn force a merger with Golden Nugget, and put Fertitta as CEO. Let the Billionaires fight it out on who controls the combined company. Then, put ALL properties in the VICI reit, and have the company just pay rent on its casinos. Tillman will HOPEFULLY upgrade the properties. I like that Tillman has restaurants to fill voids in the restaurant areas, but we don’t need the same 5+ restaurants on the Strip. I think Icahn can also find a buyer for The Rio, better than Caesars has been trying. I say move Chippendales & Penn/Teller to Paris, then sell Rio. GREED IS THE GREATEST HATE CRIME OF THEM ALL. 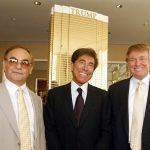 Gone are the days when robber barons such as Carl Icahn are brought to justice, This phony philanthropist uses his tax-exempt status to hide his fortune and escape paying tax. His international price fixing is indeed a criminal act. He has robbed billions by price fixing the metals market. Despots such as these use their billions to place themselves above the law. He is only paying half of scrap metals price. Robbing the most needy. The ones picking up aluminum cans or hauling scrap metals to help supplement their income. This creature should be brought before Congress and then thrown into prison for using laws to rob people. What does it take to stop these greedy corporate despots? These are truly vile creatures. The prosecutors are busy using their office to prosecute opposing political views all-the-while letting these criminals walk free. Is it possible that Icahn is just a senile old idiot setting back and allowing others to manipulate and control his companies?